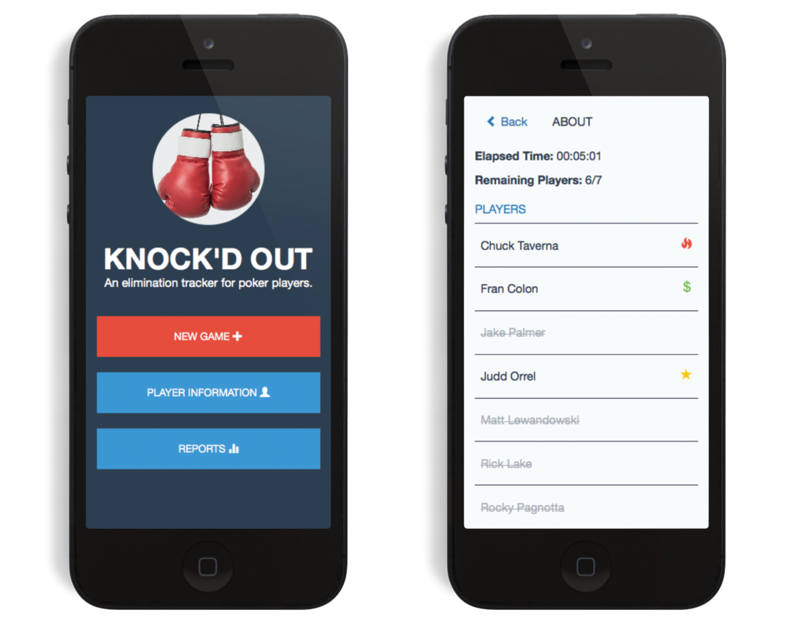 Knock'd Out is an idea of an Elimination Tracker for Poker Players. After the most popular poker time management app was left to degrade by the developer, I wanted to created something simple to use at the poker table. This project was a fun one. 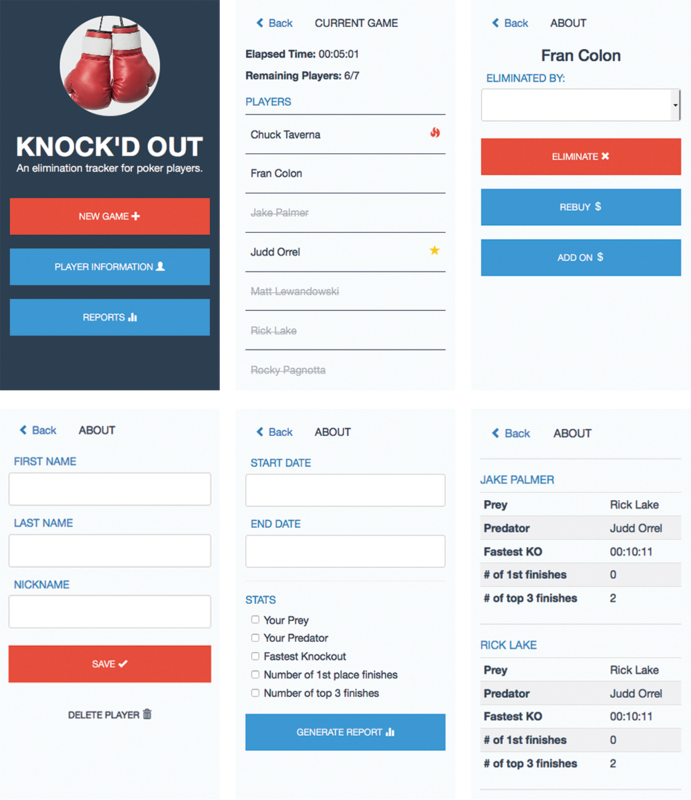 After the tournament poker app I was using stopped working in iOS and with plans from the developer to upgrade it, I set out to design an app that would suit my needs. I started with pen and paper to figure out the site map and wrote down all requirements that I had. And some wireframes and other features that might be nice to have. I wasn't sure what direction I wanted to take this in. If it should be a poker tournament manager or strictly an elimination tracker. I was already using a free online service for tournament time and decided I wanted to concentrate on the elimination portion because it was being done with paper and pencil at the table. After figuring out the requirements and having an idea of what this was going to be I turned to Photoshop to start designing and quickly changed to designing in the browser. I did this because there were elements that were going to be quite similar and it was easier styling them in actual code. The other benefit of designing in the browser was I could set up a demo and click through the pages to see how it actually worked. Update: After working on this and ready to send out to be developed a new product came along that had all the features needed to run a tournament. After talking with the owner of that application, new features were being developed to fit the needs of my group of players to be incorporated into their product.